India - The Right to Information Act is an act to provide for setting out the practical regime of right to information for citizens to secure access to information under the control of public authorities, in order to promote transparency and accountability in the working of every public authority, the constitution of a Central Information Commission and State Information Commissions and for matters connected therewith or incidental thereto. The Government of India enacted the RTI Act 2005, which came into effect on 12th October 2005.
WHO - The Health Academy's goal is to improve knowledge about attaining and maintaining good health. Through eLearning – which is how WHO defines learning by any electronic technology and media – the Organization has the means to reach out to people with information on disease prevention and health promotion. What is particularly important is the ability to reach school-age children, those aged from 12-18 years. WHO is in a unique position to provide this information with its access to health expertise and rich information resources including those from its 193 Member States. The following pamphlets on Diabetes, Obesity, Healthy Nutrition, Alcohol abuse and Cigarette smoking are in French. For each topic, there is a recto (front) and verso (back) file. You just have to fix the recto on the verso (back to back), fold it into three and you get your pamphlet. Would you like a quick consult about a medical problem, symptom or just want more information on a medical topic. This a FREE service. What started as a resource center eleven years back, with a modest collection of material on patient education has grown into India's only largest patient education center housing more than 11,000 authentic books on possibly every aspect of health and diseases, along with pamphlets, health care magazines, and an exhaustive audiovisual section too. HELP was also documented to be the world's largest Free library on consumer health information in the Limca book of records. State of the art infertility specialists to the world, Founders and visionaries for HELP, our Medical Directors have paved the path for the new "patient-centric health care "revolution in India. On a regular map, the sizes of the countries of the world are in proportion to their actual sizes on the surface of the planet and their shapes are the same as their actual shapes. Here are redrawn maps with the sizes of countries made bigger or smaller in order to represent something of interest. Such maps are called cartograms and can be an effective and natural way of portraying geographic or social data. Here are some examples of Population, Gross domestic product, Child mortality, People living with HIV/AIDS, Total spending on healthcare, Energy consumption (including oil), and Greenhouse gas emissions. 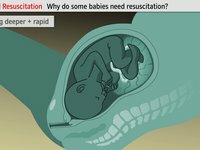 Every newborn, when placed on the mother’s abdomen, soon after birth, has the ability to find its mother’s breast all on its own and to decide when to take the first breastfeed. This is called the ‘Breast Crawl’. This method is evidence based and has been field tested by us. A documentary on the ‘Breast Crawl’ has been prepared for training, advocacy and for wider dissemination. The video has created a very high level of sensitivity among all the levels of functionaries and was officially endorsed by senior policy makers as the right approach for initiating breastfeeding. This dossier provides the background and a scientific overview to the documentary. Initiation of breastfeeding by the Breast Crawl is a critical component of the IYCF (Infant and Young Child Feeding) initiative for the state of Maharashtra, India. IYCF deals with nutrition of children from birth to 3 years of age, and also takes into consideration the nutrition of pregnant and lactating mothers. Two critical components of IYCF are breastfeeding and complementary feeding. 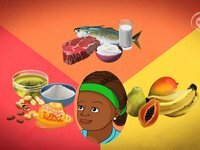 Improved IYCF practices promote optimal growth and development, prevent malnutrition and improve child survival. With 40% of the children in the state undernourished, this initiative becomes extremely critical. UNICEF has facilitated partnerships with all stakeholders including the State Government, State Nutrition Mission, the Integrated Child Development Services (ICDS), Public Health Department, BPNI (Breastfeeding Promotion Network of India), NGOs, Community Based Organisations (CBOs) and several academic institutions, for this major initiative. These partnerships are aimed at creating a revolution in the state promoting IYCF practices. 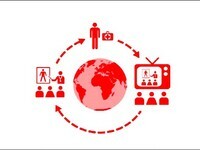 Medical Aid Films (MAF -�MedicalAidFilms.org) is a cutting edge film-making charity. 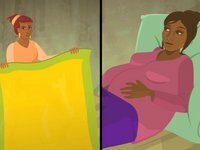 We produce training films and animations for grassroots health workers in low income countries. 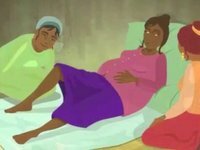 Our films provide information and medical techniques on issues surrounding safe childbirth and infant health, with the aim of saving the lives of vulnerable women and children around the world. Ce film s’adresse aux femmes, aux travailleurs communautaires en sant�, aux sages-femmes traditionnelles et aux communaut�s en g�n�ral. Il a pour but de leur enseigner les signaux d’alerte lors de la grossesse ainsi que les signes � rechercher, afin que les femmes enceintes qui les pr�sentent re�oivent, au plus t�t, des soins obst�triques dispens�s par du personnel qualifi�. Ce film s’adresse aux femmes, aux travailleurs en sant� et aux communaut�s en g�n�ral. Il leur enseigne les bases de l’alimentation que doit consommer une femme enceinte ainsi que les complications qu’une alimentation saine permet d’�viter. Il pr�sente les quatre groupes d’aliments (les aliments de base, les aliments pour bouger, les aliments pour grandir et les aliments bonne mine) et d�taille leurs bienfaits. Il leur enseigne les bases de l’alimentation d’un enfant entre les �ges de 6 mois et deux ans. Il pr�sente les quatre grandes cat�gories d’aliments (les aliments de base, les aliments pour bouger, les aliments pour grandir et les aliments pour avoir bonne mine) et d�taille leurs bienfaits. Ce film s’adresse aux m�res, aux travailleurs en sant� et aux communaut�s en g�n�ral. 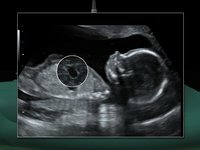 Il leur enseigne pourquoi et comment allaiter un nourrisson de la naissance � l’�ge de 6 mois. Il explique les avantages du lait maternel sur le lait artificiel, rappelle qu’il ne faut donner ni eau, ni tisane ni alimentation compl�mentaire aux b�b�s avant l’�ge de 6 mois et d�montre comment allaiter. With experts in the field of Obstetrics, Gynaecology, Midwifery and Paediatrics as founders and trustees of MAF our focus lies on improving the conditions for mothers, infants and children in the developing world who have little or no access to essential health care. "...The Health Communicator's Social Media Toolkit, originally released in September 2010, is a resource designed to provide partners with guidance and to share CDC's lessons learned in integrating social media into health campaigns. Alcoholics Anonymous (AA) is an informal meeting society for recovering alcoholics whose primary purpose is to stay sober and help other alcoholics achieve sobriety.AA suggests that alcoholics follow its program and abstain from alcohol in order to recover from alcoholism, and share their experience, strength, and hope with each other that they may solve their common problem.AA was the first twelve-step program and has been the model for similar recovery groups like Narcotics Anonymous. Al-Anon/Alateen are programs designed to provide support for relatives and friends of alcoholics. The organization was named after its primary guidebook Alcoholics Anonymous, also known as The Big Book. Although AA is not for everyone, there is growing evidence supporting the effectiveness of AA as a treatment for alcoholism. All NGOs, Institutes and Persons working in the Self Help Group Movement. This book is based on the experiences and achievements of the Maharashtra Rural Credit Programme. Sahyogini (Animator) is the back bone of this programme working in the villages with the Self Help Group to Guide & Help them by providing technical support. This book is focused on the working procedure of the Self Help Group Dynamics, Formation, Structure, working procedure etc. This guide answers frequently asked questions. A Bill to provide free and compulsory education to all children from the age of six to fourteen years. Hesperian Health Guides are easy to use, medically accurate, and richly illustrated. We publish 20 titles, spanning women’s health, children, disabilities, dentistry, health education, HIV, and environmental health, and distribute many others. Buy, download, or read from this page, or view resources by language to explore materials in Spanish and over 80 other languages. The most widely-used health care manual for health workers, educators, and others involved in primary health care delivery and health promotion programs around the world. Our current edition contains updated information on malaria, HIV, and more. 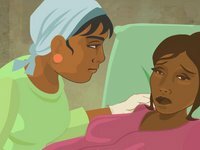 An essential resource for any woman or health worker who wants to improve her health and the health of her community, and for anyone to learn about problems that affect women differently from men. Topics include reproductive health, concerns of girls and older women, violence, mental health, and more. Topics include care for newborns, breastfeeding, and nutrition. These are the first chapters completed of an all new, 21st-century edition of our hallmark publication. A vital resource for practicing midwives and midwifery training programs around the world, this book covers the essentials of care before, during, and after birth. 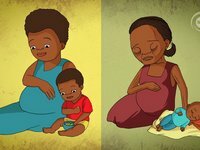 It has been updated to reflect new WHO/UNICEF guidelines and standards for mothers and newborns. This basic dental manual uses straightforward language and step-by-step instructions to discuss preventive care of teeth and gums, diagnosing and treating common dental problems, and includes a special chapter on oral health and HIV. Developed with the participation of women with disabilities in 42 countries, this guide helps women to overcome the barriers of social stigma and inadequate care to improve their general health, self-esteem, and independence as active members of their communities. 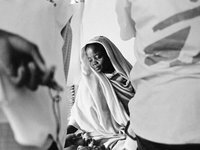 A thorough, easy-to-understand guide for health workers confronting the HIV pandemic in their communities, it covers topics from biology of the virus to epidemiology to the mechanics of designing prevention programs, using language that is accessible to those with little medical training. This chapter from A Community Guide to Environmental Health, available as a 36-page booklet, offers information and activities to help reduce harm caused by pesticides, to treat people in pesticide emergencies, and to understand legal and political issues related to pesticide use. This chapter from A Community Guide to Environmental Health, available as a 48-page booklet, offers basic information on toilet building as well as learning activities to help communities understand and prevent sanitation-related health problems. This chapter from A Community Guide to Environmental Health, available as a 48-page booklet, helps communities improve drinking water sources, treat water to make it safe for drinking, and organize water projects to protect access to clean water. Topics include work hazards and solutions in garment industries, social hazards and solutions in garment, electronics, and shoe industries, and activities for organizing worker-led campaigns. These chapters will be part of the upcoming publication, due to be released in 2012. By visiting our bookstore, you can view and buy Hesperian titles in Spanish, on CD, and books from other publishers. The Plight of Children in India. Statesman. Food Relief. Bhaktivedanta International Charities. 15 Aug. 2005. Women’s Education Can Improve Child Nutrition in India. National Family Health Survey Bulletin. Feb. 2000. International Institute for Population Sciences Mumbai.